Sebastian Vettel has confessed that he remains inspired in his drivers' championship title fight thanks to the team spirit among the squad at Ferrari, which remains intact despite various setbacks, disappointments, and mistakes throughout the 2018 Formula 1 season which have resulted in a lot of criticism. 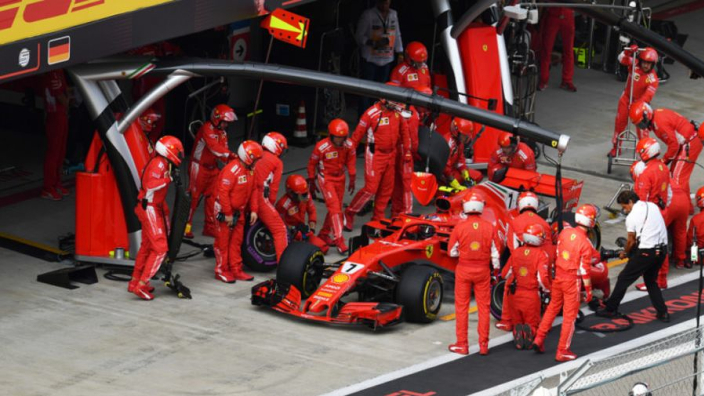 Following the Japanese Grand Prix this past weekend, Mercedes and Lewis Hamilton lead Ferrari and Vettel in both championships, and with just four races remaining in the United States, Mexico, Brazil, and Abu Dhabi, the Silver Arrows are poised to win both. Vettel remains hopeful, however, and claims his inspiration comes from the spirit among the Scuderia employees. "It's about everybody," Vettel told Sky Sports. "I find it quite inspirational, you walk in the garage and the guys are all fired up. That has certainly helped. "Obviously it's not been an easy couple of weeks but the spirit in the team, considering how tough the last weeks have been is unbroken. We know that it's difficult from where we are. What do we have to lose? "We give it everything we can. I think there's still some important things that we can understand and learn about the car." "Obviously if races go like this it's a bit of a handover," the German continued. "I think we're trying our utmost to fight and resist. Let's see what the next races bring."